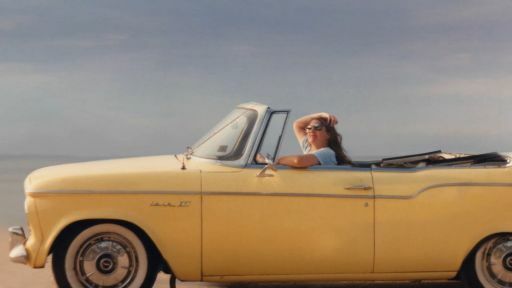 Several years ago Rachel Aviv published an article in the New Yorker about Linda Bishop, a woman who had struggled with mental health issues for much of her life. In October 2007, having been recently released from psychiatric care, Linda began to suffer from paranoid delusions about being pursued. 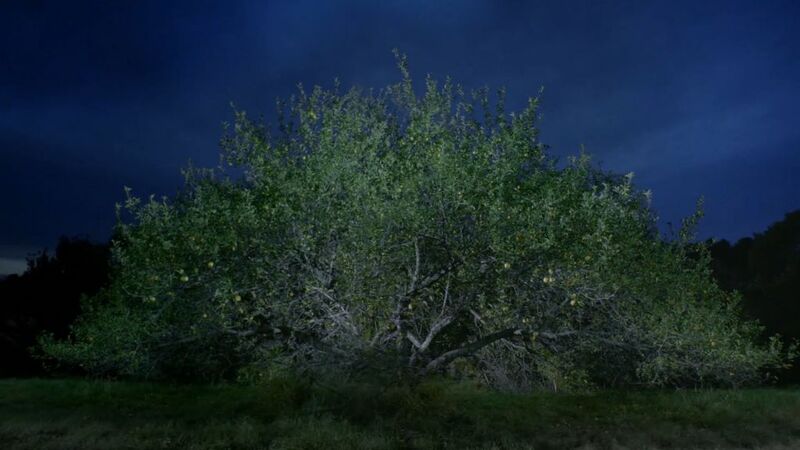 She broke into an empty New Hampshire farmhouse and hid for four months, shivering through sub-zero temperatures and living solely on apples collected from a nearby tree at night. At no point was Linda more than a minute’s walk from somebody who could help, but she may as well have been a million miles away. 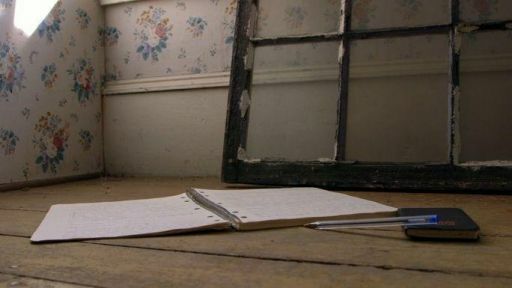 When her body was finally discovered in May of 2008, she had a journal in her possession. Structuring the film around a narration made up of Linda’s diary entries (voiced by Lori Singer) and artfully-shot footage of the actual farmhouse in which she hid, the Wider brothers complement all this with home videos, family photos, and interviews with her family and mental health experts. The result is a somber and powerful work that creates a strong sense of empathy with Linda Bishop and a deeper understanding of the pain that mental health crises can cause, both for those suffering directly from a mental health condition and for their loved ones. I recently had the good fortune to talk to filmmakers Jedd and Todd Wider about God Knows Where I Am. First of all, I’d like to congratulate you on God Knows Where I Am. It’s really powerful. Can you tell me what it was about Linda Bishop’s story that resonated with you? Jedd: Todd and I have been producing documentary films for close to 17 years now, and we had been looking for a film that could be our directorial debut. In the past, we have typically gravitated towards films that resonate with us from a socio-political perspective. We had wanted to do a film on the severely mentally ill and the homeless. We live in New York, where there’s a severe homeless problem. The mayor tells us we have about 65,000 homeless people, but the number is probably far north of that. Todd had had an experience with a homeless person who had broken into the foyer of the building where he lives in the middle of winter several years ago. Todd had come back and found this man in his foyer, and called the police. After speaking to this man, it turned out that he was just freezing cold and looking for warmth. The police came and asked Todd what he’d like to do with him. He said, “Please take him to a shelter where he can get food and he can get a place to sleep.” The man got into the police car. The car drove up the avenue where Todd lives, and several blocks up … It was snowing … the car pulled over and the man jumped out of the car into the night. Several months later Todd started to see the man sitting outside of his building. It seemed like he was there constantly, all day, all night. He was urinating on himself. He seemed to be delusional, clearly mentally ill, and Todd began to call the police. The rep was right. As we’ve screened this film around the world, we’ve seen and heard the same stories in cities where there are significant homeless problems and people are not being cared for. The problem is that we’re not properly addressing the needs of these people. We wanted to make a film about all this. 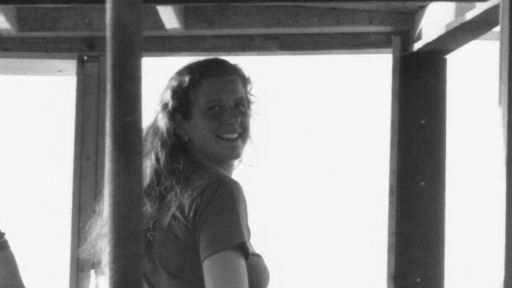 We came across an article in the New Yorker by a writer, Rachel Aviv, about the story of Linda Bishop but also about the polemic issue of under what circumstances should we as a society be able to forcibly treat a severely mentally ill patient or person against their will. Jedd: We set out to find and speak with Linda’s sister Joan and daughter Caitlin, and we met with them. We began to spend a significant amount of time with them learning about Linda’s story, and eventually, Joan turned over the journals that Linda had kept in the abandoned farmhouse where she lived for close to four months prior to her death. We realized that we had the words of this woman. The great challenge in making a film like this was that our main protagonist was not alive, so how do we bring the story of this woman, how do we bring Linda as a character to life in this film that resonates in an effective way cinematically. We had her words, so we decided to use those words in the film, and we shot the film up at the abandoned farmhouse over almost a full two-year period, eight full seasons. It was important for us to share with the viewer these words. Linda is highly lucid during many of the passages that she writes. At other times she’s not lucid, but she was an incredibly intelligent woman. She was an art history major. She had been full of life. She was an interesting and effective mother when she was lucid. She had many friends. She spoke about art. She spoke about poetry. She spoke about astronomy. She had a great passion for food. We realized that this woman saw things incredibly visually, and so we wanted to tell her story. Part of our approach to making this film was to make an experiential type of documentary. 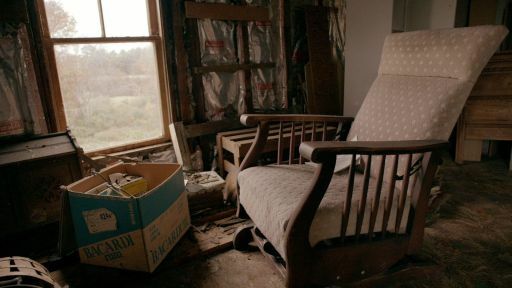 We wanted to place the viewer in the shoes of this woman who’s sitting in this abandoned farmhouse during one of the coldest winters on record in New Hampshire. What did it sound like as she sat in that farmhouse in the middle of the night, the cars driving past the street right in front of the house when all she had to do was open the door and walk out and she would have been saved? We wanted to bring the experience this woman had to the viewer, but we also wanted to use Linda’s story as a window into the larger more pressing issues of how we as a society in many ways have failed to care for the homeless and the severely mentally ill.
I’m curious about how you went about asking Linda’s family to participate. Obviously, this is an incredibly personal thing for them, and that diary was very revealing. How did you go about earning their trust in order to have them comfortable with you putting these words out there? Todd: I think most people try to find meaning in the face of tragic death of family members and loved ones and friends, so I think it was important for them to do the film, because they felt it might help change the way people perceive this issue, and so they were both willing participants and were excited to do it. How have they felt about the final product? Todd: I think they’re very happy with it. They feel that we captured her persona as well as make an important, sort of artistic and social-political statement about the issues here in our country and elsewhere. I think the film really is universal. It’s about loneliness. It’s about the severely mentally ill and homeless. This is an issue that affects everyone all over the place. I think for me probably the key moment is… there’s a police officer in the film, he makes the point that while he’s reading this diary all that he can keep thinking is that Linda should just cross the street and she’ll get help. She’s just a few steps away… and it’s that element that makes the story so powerful and so tragic. How has the film resonated with resonated with audiences as you’ve traveled around? 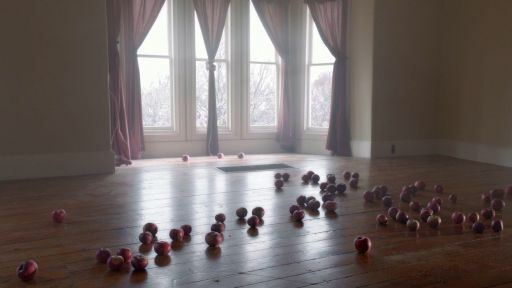 Todd: I think people are very moved by this. It seems to resonate equally with audience members. I was just recently in Portland, Oregon, where they have a terrible homeless problem, and at the end of these screenings people always come up to us and talk to us and relate similar experiences that they’ve had with family members or friends. Mental illness is so pervasive in our world. It’s dealt with differently in different parts of the world, but I think the universal is that there’s a lot of pain that family members and patients and those that know these people have in dealing with crises like this. In a way, the film sort of brings people together. We’ve been all over the world with the film, literally all over the place. It seems to be finding a strong reception wherever we show it. I was watching Robert Altman’s Short Cuts just the other day, so I was very intrigued to see that Lori Singer was involved in this project. How did you get her on board? Todd: Lori had done some producer work with us before. One of the founding principles of documentary filmmaking is access, so in this case, the access was the diary. We had no lead protagonist to interview, but we had the words of the protagonist in the form of the diary, so we really wanted to bring it to life. She studied the number of letters on a particular line and would make notes like that, so it became this modulated emotional performance, and it really creates a full character arc, you know? It helps you access the piece and brings you into it emotionally, and it provides a point of empathy I think for the audience. We were very privileged to work with her. She’s a good actress, and she really gave an amazing performance. And it really is a performance… it’s not a read or a narration. I am curious, is there another film on the horizon for the two of you either as directors or as producers? Jedd: There are two films that we’ve directed. One we’ve completed, the other will be completed soon. The first film is a documentary short called The Winds of Downhill, and it’s about seven homeless people in a soup kitchen in New York in one day. We meet them and we get to know each of these people, their dreams, their hopes, their views of life, their views of art in New York City. Todd: The other film is called To The Edge of the Sky. It’s a feature-length documentary about four families, particularly the mothers in those families, who are fighting and advocating to get a drug approved that treats Duchenne muscular dystrophy, a lethal genetic disorder in young boys that stops them from ambulating as well as eventually, unfortunately, killing them. Jedd: We see the transformation of these mothers from day-to-day moms into important political activists as they attempt to rally the major drug agency in the United States to approve this company’s drug. It seems to be the only drug that is being produced that can actually potentially be effective in saving these boys.